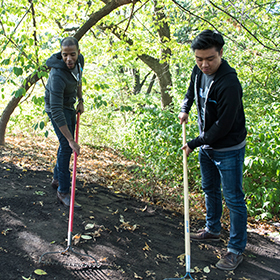 YOU'RE INVITED to join SVB & our partners for an exciting volunteer opportunity! 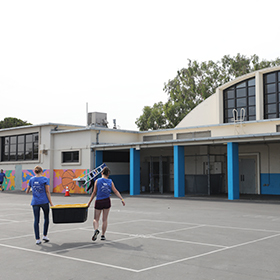 On October 18th, join us for our 2nd annual L.A. Tech Gives Back - an incredible half-day of service where we, along with local L.A. tech professionals & companies, join forces to provide much-needed help to local nonprofits, schools & organizations across the greater Los Angeles area. You’ll have eight service opportunities to choose from across various locations around L.A. – Santa Monica, Culver City, Venice, Hollywood, Downtown LA & more – and will close with a community lunch atop the incredible Zefr rooftop patio in Marina Del Rey. REGISTER TODAY to sign up and lend a hand. You’ll meet some fantastic people and strengthen nonprofits in the city we all call home. 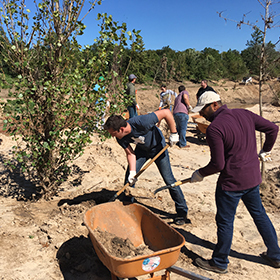 This year, Los Angeles is one of seven cities where we are spearheading SVB Tech Gives Back efforts in October. Be sure to use and check out our #TechGivesBack on social media! 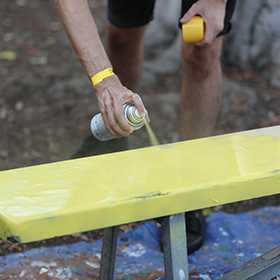 We’ve partnered with L.A. Works and other local nonprofits to find 8 impactful projects across the city. Whether you want to put your mental or physical talents to work, there’s a site to match your skills. RSVP for your choice by clicking the links below. Educate and engage in one of the most pressing issues of 2018—to stem the flow of plastic into our world’s oceans. Single-use plastics have an average lifetime of just 12 minutes and yet, it never biodegrades—instead it proliferates and this process can take 500 years or more. Over time, plastics have wound up in our oceans, threatening wildlife and 60% of the world’s population who rely on fish as its main source of protein. Volunteers will gather at SVB’s offices to view a 20 minute film that frames the issue, then mobilize in a beach clean-up just south of the Santa Monica pier. Engage and mentor young adult students in an interactive networking & mock interview skills workshop, helping them practice and master the skillsets, confidence and experience necessary for a future professional role. Help restore and enhance one of the most well-known parks in the Santa Monica mountains with the installation of new plant life, removal of debris, spreading of new soil and the painting of the park storage shed. Harvest Home transforms the lives of homeless pregnant women and their children by providing housing, support, and programs that equip women to become great mothers. Spend the morning helping with a variety of projects to beautify the mothers’ environs by helping get the home sparkling clean, well organized, and fully stocked with everything the mothers need. Due to privacy, address will be provided to volunteers upon registration. 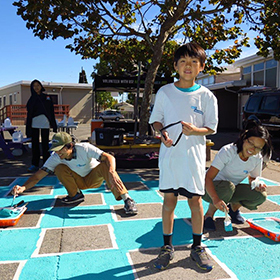 Create an inspired & comfortable environment of learning for young students as we beautify their campus with murals, painting of school buildings and grounds, and environmentally-conscious landscaping projects. MVFC has helped transform a community once filled with urban gang violence and unsafe streets into a thriving, healthy community for its residents. 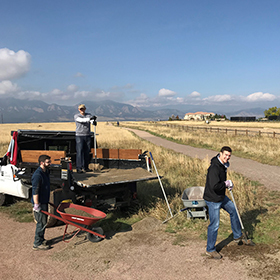 Participate in an array of beautification projects around the campus – from painting and patio restoration to organizing the library and refreshing the garden. TwoBitCircus.org is a nonprofit educational organization designed to cultivate the next generation of inventors, advance environmental stewardship and spur community engagement. Combining the inspiration of Two Bit Circus with castoff material from hundreds of manufacturers, our programs help students learn STEAM education and innovation skills while inspiring critical and creative thinking. Come participate in The Center's "Day of the Community" program which will consist of wellness group activities, assembly of healthy snack packs and gardening & maintenance. Click here to visit our global Tech Gives Back site. SVB wishes to thank the following sponsors for their generous support of L.A. Tech Gives Back 2018. 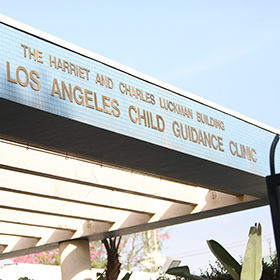 Your efforts create a better, brighter L.A. for all! your fellow volunteers while making a difference! Come back together for a community lunch reception atop the Zefr rooftop patio to enjoy delicious bites and beverages! SVB wishes to thank the following sponsors and nonprofits for their generous support of L.A. Tech Gives Back 2018. 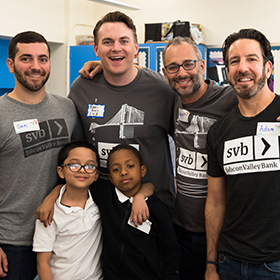 For the L.A. Tech Gives Back program, Silicon Valley Bank is proud to partner with L.A. Works, an organization that empowers the L.A. community to address pressing social issues through volunteerism and community collaboration. The original Tech Gives Back event was first held in Boston and created by TUGG, Technology Underwriting the Greater Good. TUGG is a nonprofit organization driven to fuel the success of the riskiest social enterprises serving local under-resourced youth. Please contact Please contact Brooke Jones at [email protected]. for any immediate questions & check site regularly as we finalize details for the 2018 program.